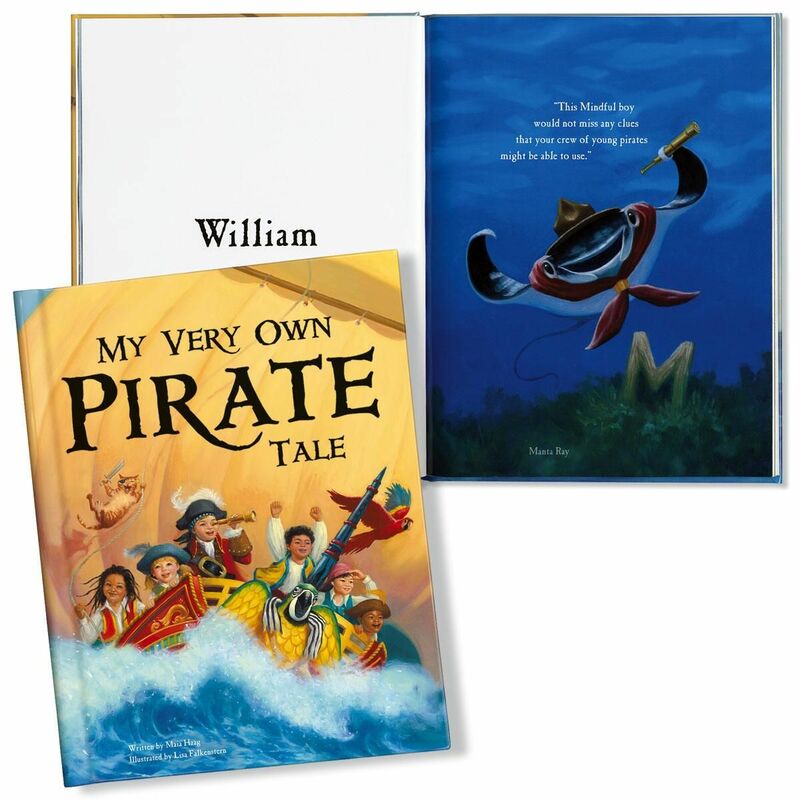 In My Very Own® Pirate Tale, entertaining sea creatures bring letters one by one to spell out your child's name, and they describe why he or she is the perfect candidate to be the captain's first mate. The sawshark brings the S, the octopus brings the O, and so on. At the end of this adventurous pirate story, your child's name is revealed as the secret to opening the treasure! As an added personal touch, this exciting book features a personalized cover and your child's name interwoven through the story. It also includes an illustrated encyclopedia of 62 sea creatures with fun facts about each. Written by award-winning author Maia Haag, with beautiful, hand-painted illustrations by Lisa Falkenstern, this book is a unique keepsake that will be cherished for a lifetime. Hardcover 9 1/2" x 11" book is recommended for girls and boys ages 0 - 10. Contains approximately 30 pages, depending on length of child's name. © I See Me! Inc.